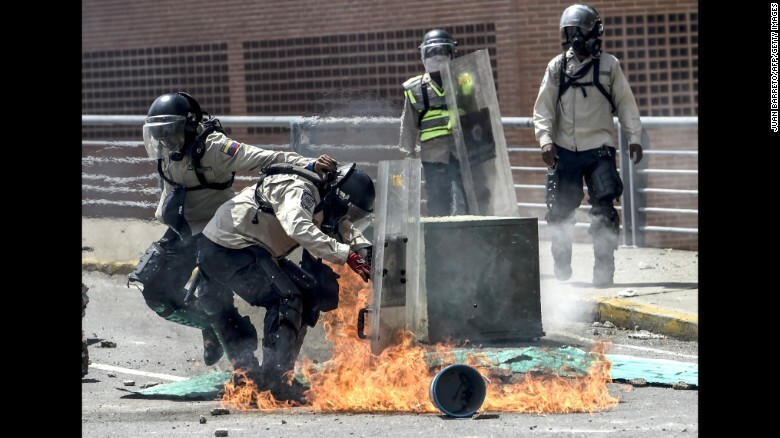 (CNN)Venezuela has been riven by violent protests in recent weeks as opposition leaders face off with President Nicolas Maduro and his supporters. 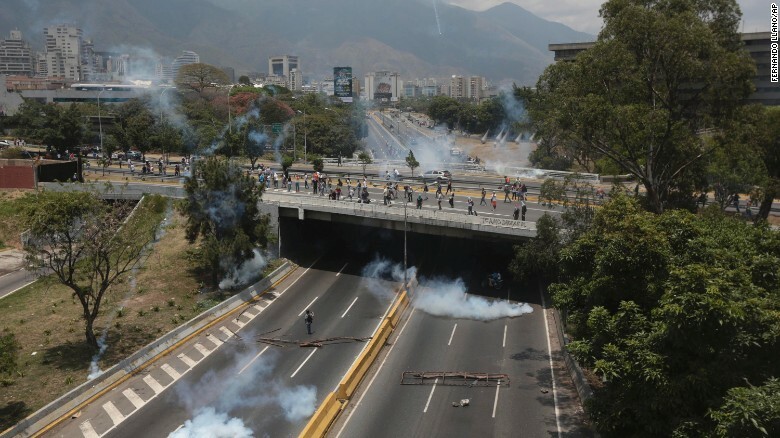 Anti-government protesters want Maduro to step down, accusing him eroding democracy. 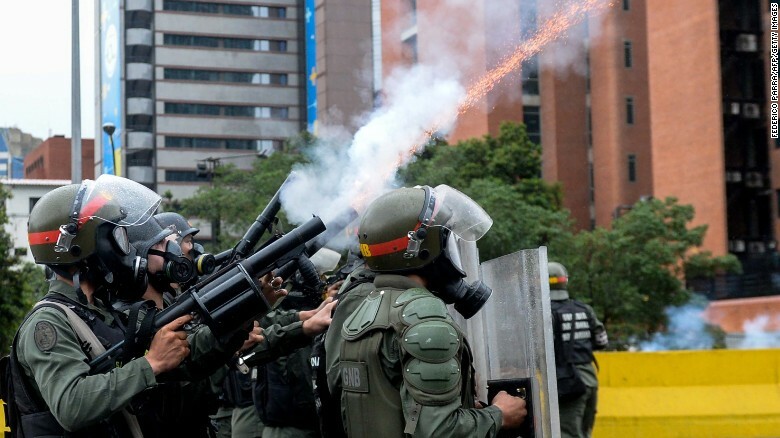 Maduro, meanwhile, has ordered the Venezuelan armed forces onto the streets to maintain order. The political turmoil comes against the backdrop of a worsening economic crisis. 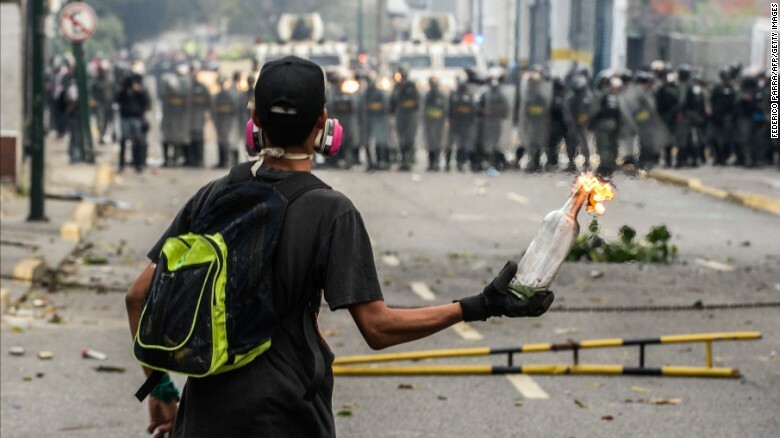 Despite having the largest proven oil reserves in the world, Venezuela is fast running out of cash, and its people have struggled for years with food and medical shortages, coupled with skyrocketing prices. 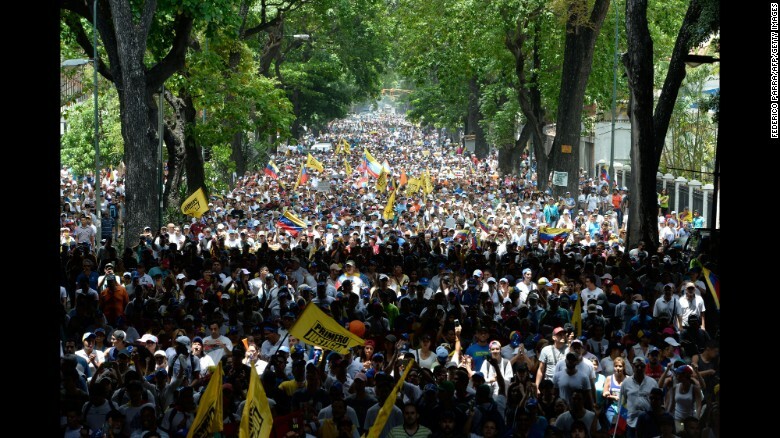 In short, the opposition says Maduro has created a dictatorship. 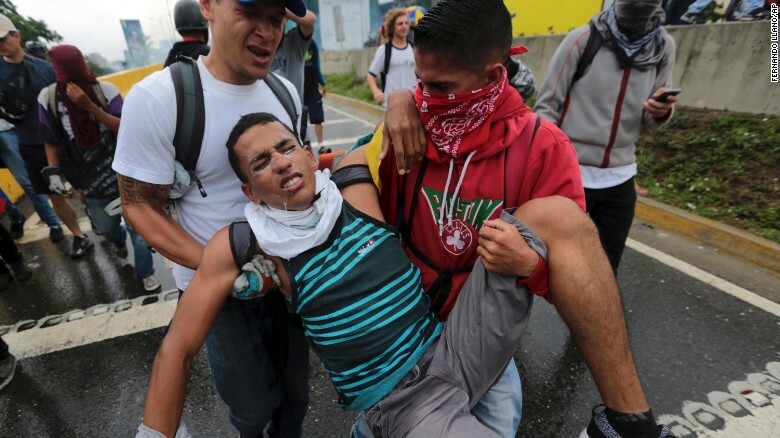 The government has repeatedly blocked any attempts to oust Maduro from power by a referendum vote. It has also delayed local and state elections. The last vote held in Venezuela, the parliamentary election of 2015, gave the opposition a majority. 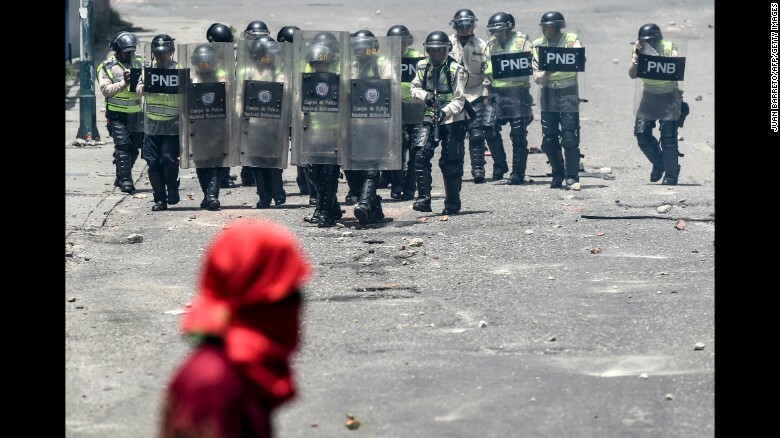 Critics say elections have been delayed because Maduro is afraid of the outcome. Then, on March 29, the Venezuelan Supreme Court dissolved the parliament, transferring all legislative powers to itself. 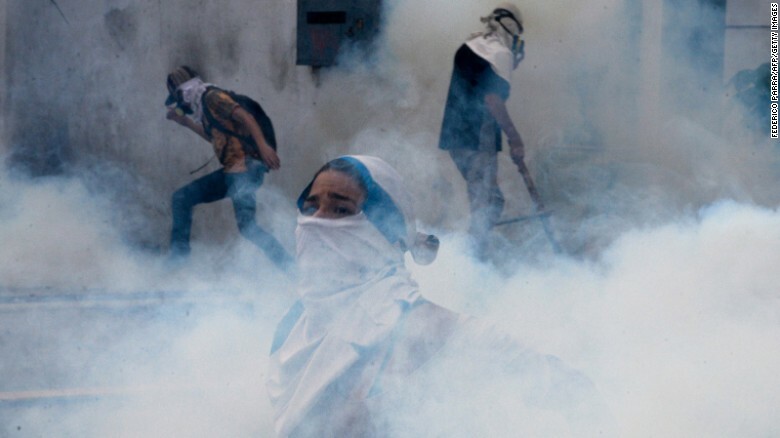 By doing away with the opposition-controlled legislative branch, the move effectively meant the remaining two branches of Venezuelan government were controlled by Maduro’s ruling United Socialist Party. The opposition was outraged and called the move a coup. 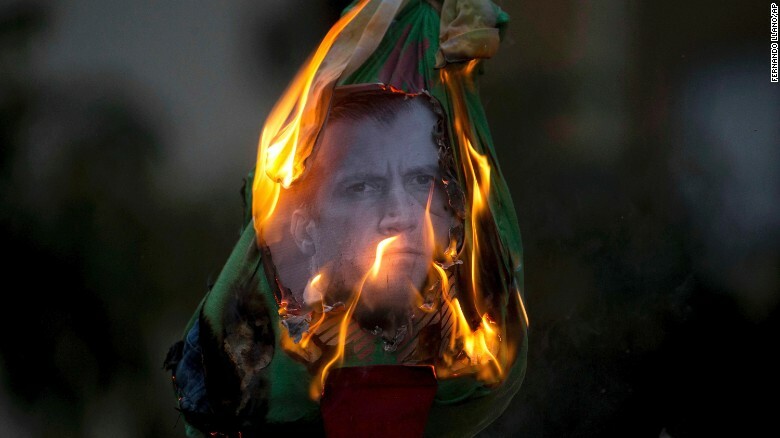 The decision was reversed three days later, but protests had already erupted. The demonstrations have been bloody. 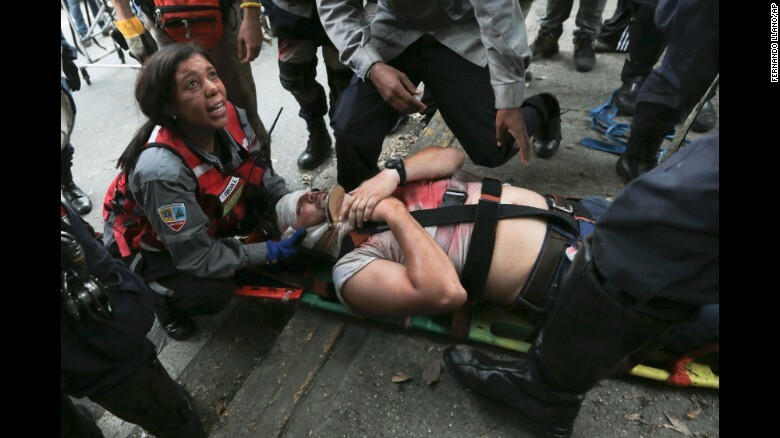 At least nine people have died and countless others, including journalists, have been injured. 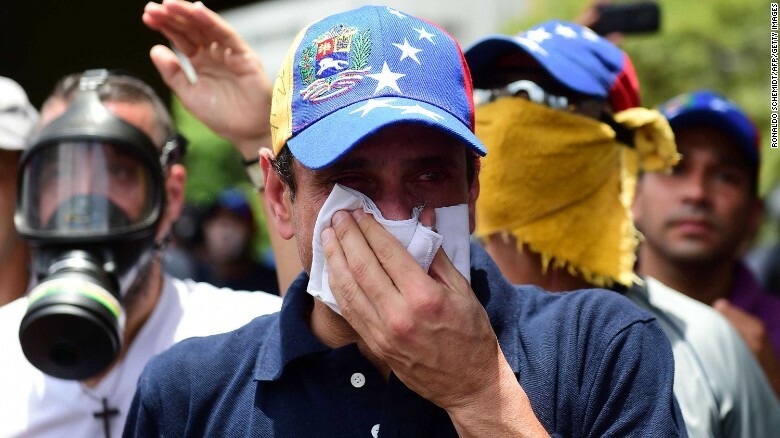 The opposition call became even stronger when, on April 7, the government notified main opposition leader Henrique Capriles that he had been banned from doing any political work for 15 years. The 44-year-old governor of Miranda, who has run for president twice, said the government was again acting like a dictatorship. 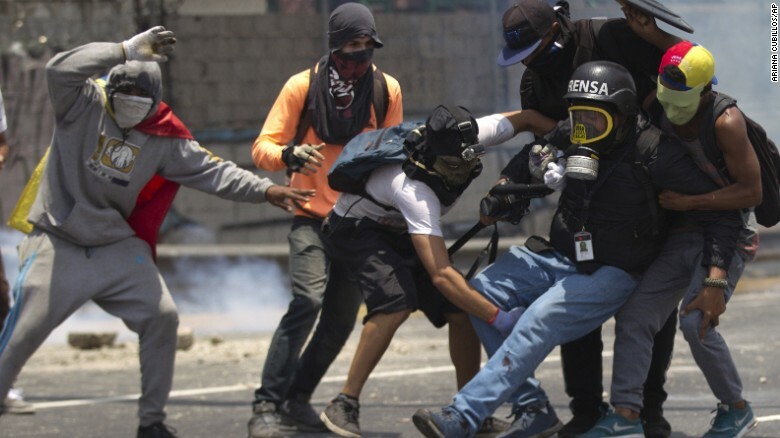 “We’re after and will capture the very last of the attackers,” Maduro said Saturday on national TV. 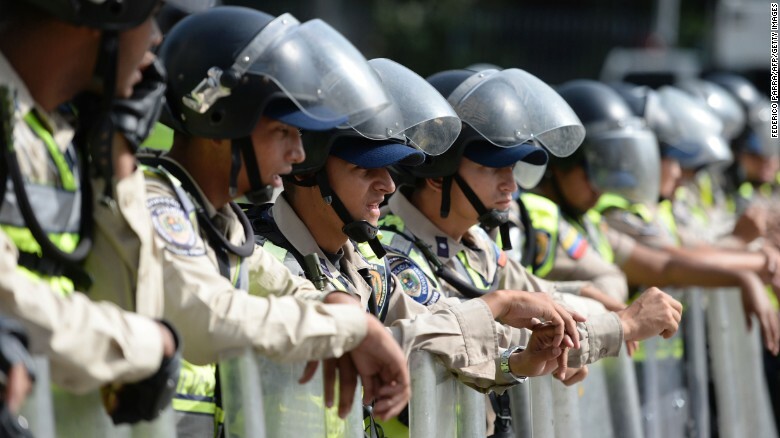 In a show of force Monday, Maduro paraded the streets of Caracas surrounded by men and women in uniform. 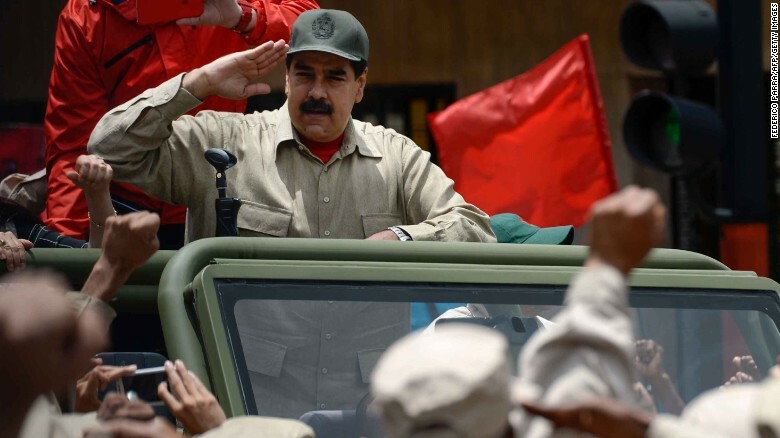 The military has also vowed its full support to Maduro. Venezuela is in crisis, and while there is no simple solution to the country’s woes, the opposition argues it can fix the failing economy. Food shortages have become severe. Venezuelans have endured weeks, in some cases months, without basics such as milk, eggs, flour, soap and toilet paper. 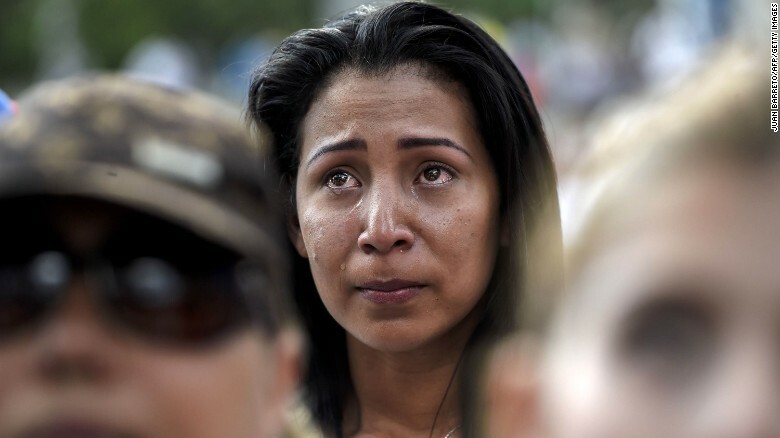 .When there is food on the shelves, prices are so high that few Venezuelans can afford it. Many have taken to eating out of the trash. Medicine remains in short supply, too. Venezuelans hunt for penicillin and other remedies at pharmacies everywhere, often without success. Public hospitals have fallen apart, causing people, including infants, to die because of the scarcity of basic medical care. 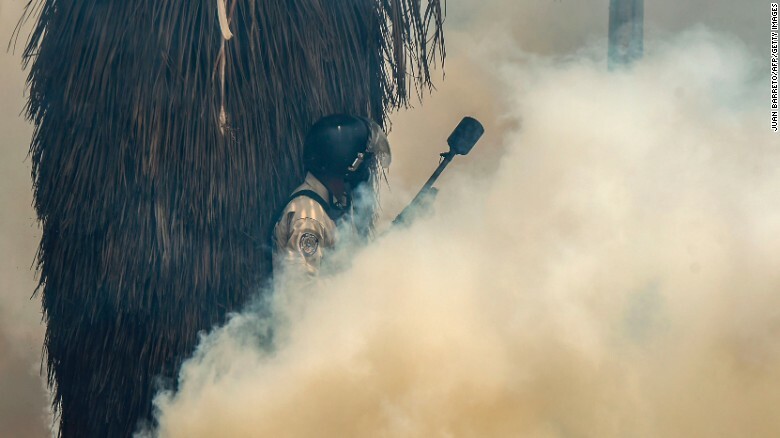 Venezuela recently asked the United Nations for help to relieve serious shortages of medicines. The country only has $10.5 billion in foreign reserves left, according to recent Central Bank of Venezuela data. For the rest of the year, Venezuela owes roughly $7.2 billion in outstanding debt payments. In 2011, Venezuela had roughly $30 billion in reserves. In 2015, it had $20 billion. 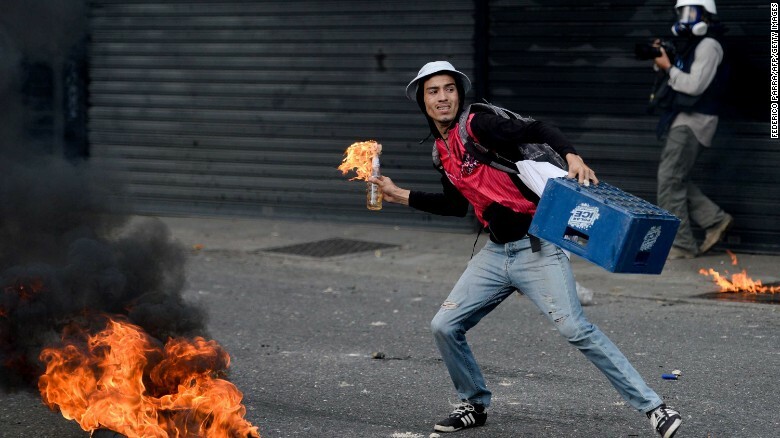 Massive government overspending, a crashing currency, mismanagement of the infrastructure and corruption are all factors that have sparked high inflation in Venezuela. Inflation is expected to rise 1,660% this year and 2,880% in 2018, according to the International Monetary Fund. Another key problem is the relatively low price of oil, which stands at half of what it was in 2014. Venezuela has more oil reserves than any other nation, and oil shipments make up more than 90% of its total exports. The low price is making it nearly impossible for the country to pay its debts and import food, medicine and other essentials. Hyperinflation has wiped out salaries and the value of the currency, the bolivar, sending prices for all kinds of goods skyrocketing. The outlook isn’t great either. Unemployment is set to surpass 25% this year, according to the IMF, and the economy is expected to remain in recession this year and the next after shrinking a massive 18% last year. 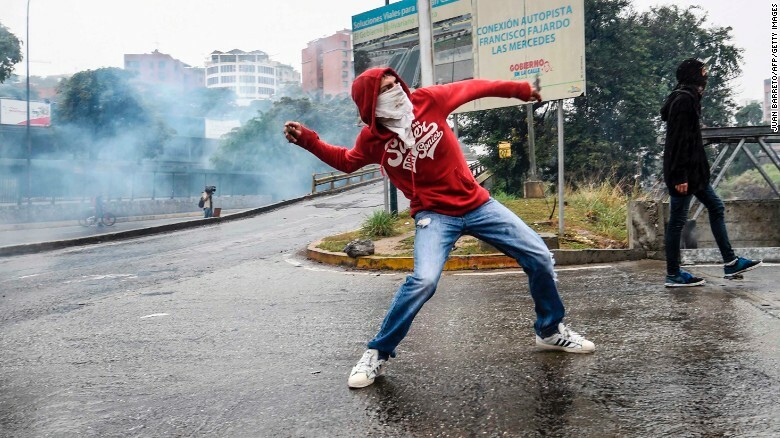 What are Venezuela’s neighbors doing about the turmoil? 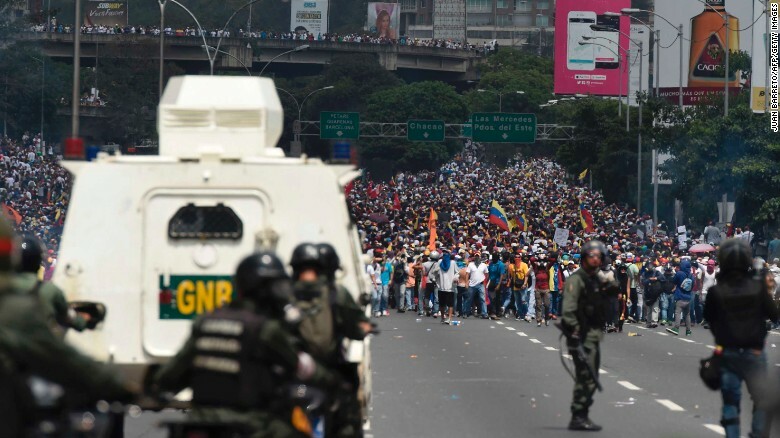 President Donald Trump has not said much publicly about the crisis in Venezuela. In the early days of his presidency, he tweeted a photo of himself with Lilian Tintori, the wife of opposition figure Leopoldo Lopez. In the tweet, Trump called for Venezuela to release its political prisoners. The Organization of American States (OAS) recently tried to declare Venezuela in violation of its democratic charter but was denied the necessary votes by Caribbean and Central American nations that have depended for years on cheap Venezuelan oil. 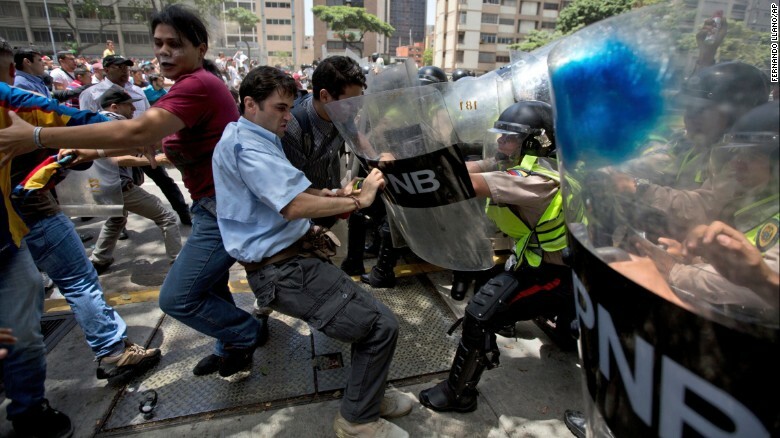 OAS Secretary General Luis Almagro, a Uruguayan, routinely calls Venezuela a dictatorship. In March, Venezuelan Foreign Minister Delcy Rodríguez called Almagro a liar and a criminal mercenary at the OAS. 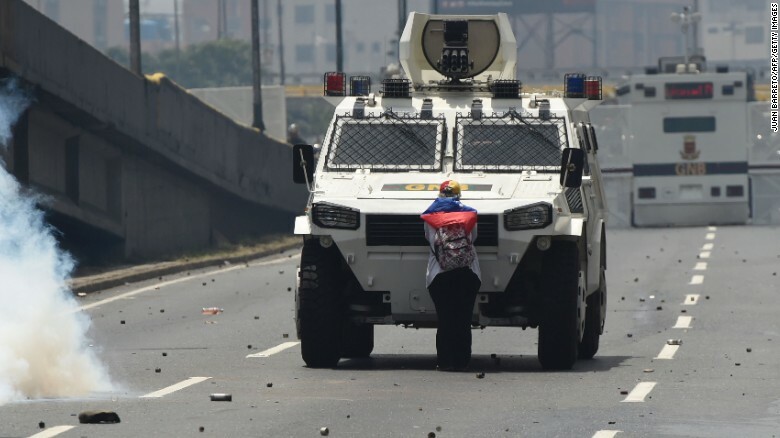 The region seems split in its support for Maduro. 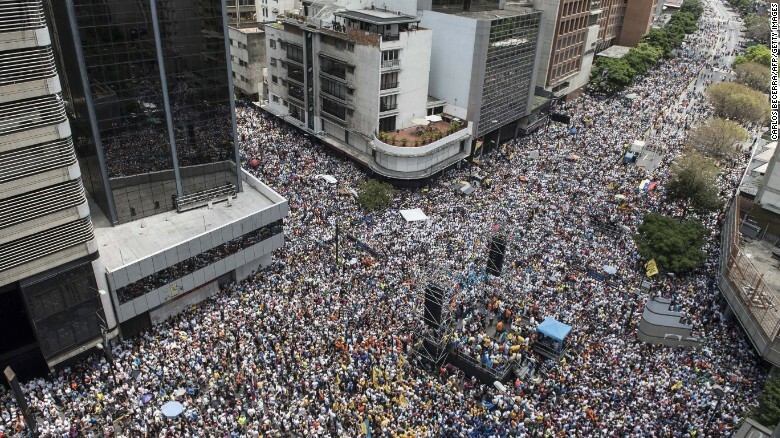 Argentina, Brazil, Chile, Colombia, Costa Rica, Guatemala, Honduras, Mexico, Paraguay, Peru and Uruguay signed a joint statement Monday asking for the Venezuelan government “to guarantee the right to peaceful demonstration,” and avoid violence against protesters. They have also urged the government to call for elections. Even the Vatican has gotten involved in the Venezuela crisis. Pope Francis sent an envoy to Caracas to mediate talks between the opposition and the government in 2016. While those talks failed, Francis said he is willing to meet with the opposing parties to help resolve the conflict. CNN’s Flora Charner and Patrick Gillespie contributed to this report. A previous version of this story gave the wrong home country for Luis Almagro.